In the popular Netflix show “13 Reasons Why,” the main character gives 13 reasons why she wants to die. 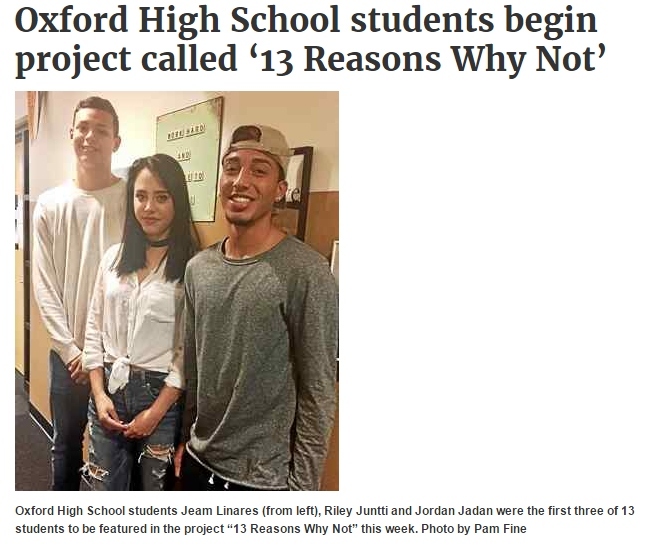 But, for students at Oxford High School, they are giving 13 reasons to live. Beginning this week and continuing for 13 days, a recording of a different student will play during the morning announcements. In the recording, played for the entire student body, the teens reveal a problem they’re struggling with. At the end of the recording, instead of blaming someone, the students thank a classmate who has helped them.